This week I am showing you one of my polish souvenirs I brought back from Berlin. 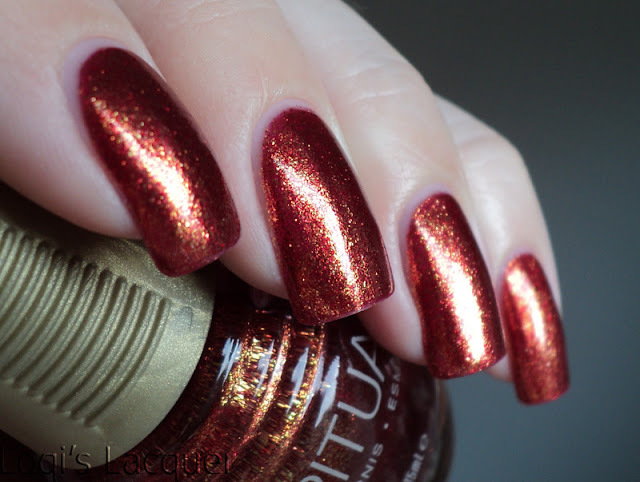 This very special beauty is from the new SpaRitual LE for spring/summer, the Gold Collection. What's so special you ask? Well, all 6 of the shades from this collection have real gold in them! They are infused with 24karat gold particles. Weird right? But it does make for some pretty polish! I had a really hard time picking a colour to come home with me (I thought they were a bit too expensive to get more than one). 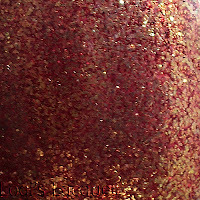 I finally settled for Rusted lux, a very warm and luminous red, copper and gold colour. Isn't it pretty? 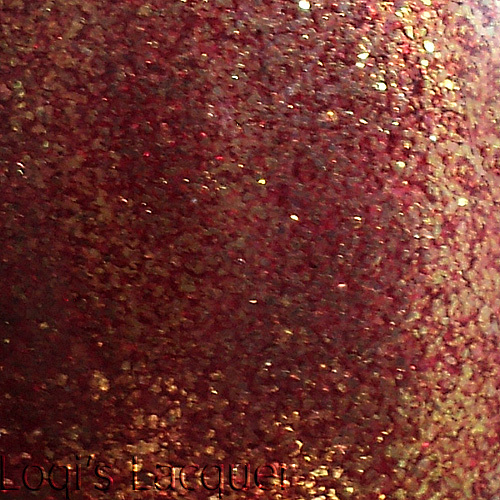 The sparkle is just insane in real life, it almost looks like I've dipped my fingers in liquid metal. The only down side? This is 5(!) thin coats...I was so exited to wear this colour I didn't check how opaque it was. This is definitely going to get layered over something else next time, and believe me, there will be a next time! I love this! I hope you like this too, and see you next week! Very pretty! Having real gold in it sounds very luxurious. This is so gorgeous! I think I would endure the 5 coats because it is so fantastic. 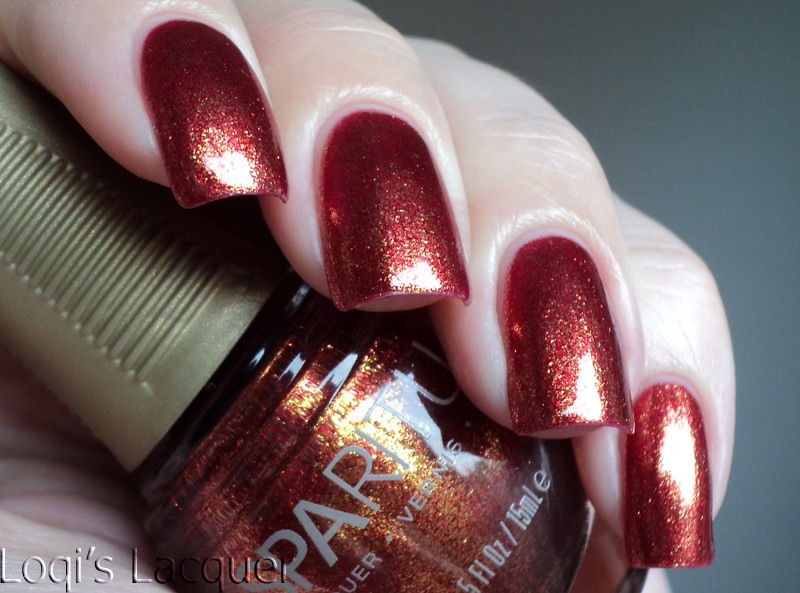 This is lovely - looks a little like the new OPI DS Indulgence...and not completely unusual for polish to have real gold particles in it - there is one in the OPI for Sephora line out now that is a 24K gold topper...the OPI Bond collection due out for Holiday 2012 has in it another 24K gold topper...and we know that the OPI DS line uses diamond dust - but then diamond dust is not expensive at all - it is a by product of a lot of manufacturing processes that use diamond drill bits. I never thought the diamond dust had anything to do with making the DS OPIs sparkle at all - but more maybe just an advertising gimmick or might add some hardness factoring to the formula possibly. This is gorgeous! So firey and stunning! Completely drooling right now! 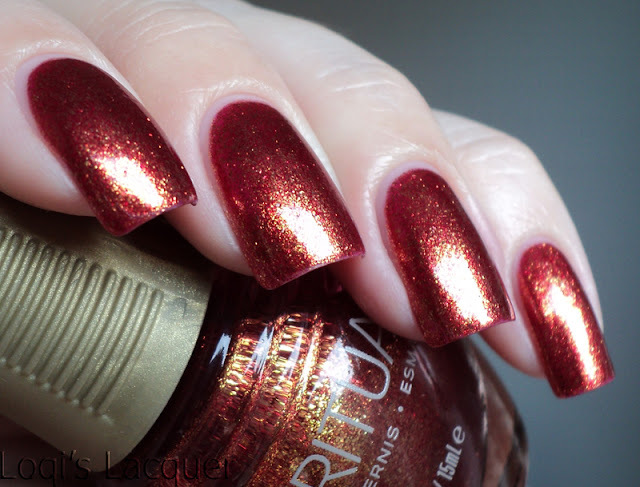 I want this polish so bad! It does, doesn't it? I do wonder if you are able to create this kind of polish without the gold though. But that means you will run out sooner too :p I am going to layer it next time, don't want to run out! It looks more like a combination of the 2 new Ds polishes I think. thank you! They have a lot of pretty shades! Luckily the others I tried aren't so sheer.